The Gevirtz Graduate School of Education at UC Santa Barbara will host a low-cost methods training workshops for early career faculty, post-doctoral scholars, and graduate students. The purpose of these workshops is to offer rigorous preparation of advanced statistical methods that are required to answer both common and complex research questions in the social sciences. This one-day workshop will build off the two-day LCA workshop (Course 1a) and introduce the LTA model as a longitudinal extension of the LCA model. I will introduce the basic principles of the Markov process and build to the larger LTA with multiple items measuring an LCA or LPA model. We will focus on the model building process and then focus on a range of advanced modeling extensions of the LTA model including including auxiliary variables, using the three-step specification, estimating distal outcome effects and treatment effects. Model specification and interpretation of Mplus output will be provided. This workshop will provide an introduction to the development of measures in the human sciences, including both survey-based measures (e.g., of attitudes, values, and personality characteristics) and performance-based measures (e.g., of knowledge, skills, and abilities). Participants will engage in the first steps of the process of developing an instrument, following the BEAR Assessment System (Wilson, 2005). We will discuss best practices in the identification and definition of constructs, the construction and scoring of items (of different types, including forced-choice, open-ended, and coded observations), and quality-control procedures including cognitive interviews and item paneling; we will also discuss the basics of measurement theory, validity theory, and contemporary argument-based approaches to validation. Finally, we will discuss the issue of cultural responsivity in measurement, and how sociocognitive perspectives (e.g., Mislevy, 2018) can enrich measurement activities. This optional one-day extension of Constructing Measures picks up where the first workshop left off, shifting the focus from the initial stages of constructing a new instrument to the evaluation of the validity of an existing instrument, focusing in particular on the analysis of item response data via the Rasch model. Statistical analyses of item response data often constitute a major source of evidence for the validity of measurement instruments. We will discuss the principles of Rasch measurement and practice the basics of Rasch analysis using the tam package in R (available without cost at http://www.edmeasurementsurveys.com/TAM/Tutorials/index.htm). Participants should have R installed on their laptops prior to the workshop, but other than this prior knowledge of R is not required. Questions about mediation and moderation are becoming increasingly important in the social sciences. Mediation analysis is used when a researcher wants to understand how one variable affects another variable (e.g., How does loneliness impair health?). Moderation analysis is used when a researcher wants to understand when or for whom an effect is more or less likely to occur (e.g., Does loneliness impair health similarly for men and women?). This workshop will provide an introduction to mediation and moderation analysis using a regression based approach. Participants will learn how to specify, test, and interpret mediation and moderation models using the PROCESS macro (Hayes, 2018) available for SPSS and SAS. The workshop will begin with simple models involving a single mediator or moderator, and will end with more complex models involving multiple mediators and moderated-mediation. Topics will include continuous and categorical predictors, direct and indirect effects, bootstrapping, confidence intervals, effect size, power, best practices, experimental and non-experimental data, and how to write-up the results of moderation and mediation analyses. Detailed instructional materials (including annotated SPSS/PROCESS syntax and output) will be provided so that participants can analyze and understand their own data in the future. Participants should have a basic understanding of multiple regression. Prior experience with SPSS is helpful but not required. Should I ask a question or pose a statement for respondents to react to? Should I give respondents 4 response options to choose from or 5? Or 6? Or 7? Or 17? Under what circumstances should I use reverse-scored or negatively phrased items? When does it make sense to use a single item vs. a collection of items to get data on an underlying construct? What tradeoffs are involved in different orderings of items on my survey? As it turns out, there are empirically “correct” answers for these (and many other) survey design questions. Making smart survey design decisions minimizes the amount of respondent error that subsequently will pollute one’s data. By contrast, the more survey sins you commit the less valid your findings are likely to be. This course is designed to help participants minimize the error that so many researchers inadvertently inject into their surveys during the design phase. After contextualizing what an ideal survey design process should look like, we will focus on best practices for formulating items, designing response options, and formatting/organizing one’s survey. With heightened incentives for collecting and using data to make informed decisions in government policy and the private sector, researchers require more advanced and robust estimation techniques in this new data environment. This workshop ​will cover the essential methodologies for the evaluation of causal impacts using various data-sources, including examples from administrative data, data from social networks and digital learning environments, and data generated from medical technologies. Specifically, this workshop will introduce fixed effects models, difference-in-differences, regression discontinuity designs, instrumental variables, and propensity score matching techniques. This course is designed to appeal to participants without an econometrics background, as the content is focused on applying the methods to real-world examples. All techniques will be applied using STATA software, but previous experience using STATA is not required and code will also be provided in SAS. Participants will leave with knowledge of several causal estimation tools as they relate to their current research interests and with some familiarity of STATA applications. R is fast becoming the statistical tool of choice for researchers across disciplines given its price, its data visualization capacities, and the vast suite of statistical tools that exist for R. However, this vastness often makes it hard to learn R for new users. This course will introduce the nuts-and-bolts of R before moving on to using R to solve the typical practical challenges faced by researchers. The emphasis of the course will be on data cleaning and wrangling best practices, data visualization, and the basics of linear modelling in R. Tools from the tidyverse will be used to show that data manipulation in R can be elegant and easily reproducible. Time permitting, the course will introduce writing your own functions in R. No knowledge of R is assumed. Knowledge of basic statistics and linear regression are helpful. Each workshop will include lecture and some hands-on time. All workshop materials will be provided digitally via a link prior to the start of the class. Lecture slides, relevant data-sets, code, etc will be provided. Hard copies of lecture handouts are avliable for purchase for an additional cost (email the for information on this). The workshop ​will be held in the Gevirtz Graduate School of Education building and participants are expected to bring a laptop. If needed, temporary licenses for relevant software will be provided (e.g., Mplus) prior to the start of the class. ​The first day of Method U, lunch will be provided for all attendees across all workshops. All all other meals will be free choice or organized by Methods U folks but paid for by attendee (suggestions for on -campus options will be provided). 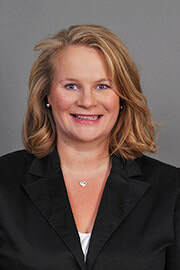 Dr. Karen Nylund-Gibson is an Associate Professor of Quantitative Research Methodology in the Department of Education. She has been at UCSB since 2009. Prior to joining the department, she was a Postdoctoral Fellow at the Department of Mental Health at Johns Hopkins University. She earned her Ph.D. at UCLA, working with Bengt Muthen. Her research focus is on latent variable models, specifically mixture models and she has published many articles and book chapters on developments, best practices, and applications of latent class analysis, latent transition analysis, and growth mixture modeling. Dr. Nancy Collins is a Professor of Psychological and Brain Sciences and Chair of the Quantitative Methods in Social Sciences (QMSS) program at the University of California, Santa Barbara. She teaches graduate courses in Design and Analysis, Multivariate Statistics, and Structural Equation Modeling, and has received numerous awards for excellence in teaching and graduate mentoring. In her research lab, she and her students study close relationships and health psychology using a variety of experimental and non-experimental research methods. Dr. Andrew Maul is an Associate Professor of research methodology and the philosophy of science in the Department of Education. Andrew’s work focuses on the conceptual foundations of research methodology in the human sciences. Andrew received his Ph.D. in 2008 from the University of California, Berkeley, before completing a three-year postdoc at the University of Oslo, Norway. He regularly teaches courses on the construction and validation of measures, item response theory, and the philosophy of measurement, as well as introductory and advanced research methods and applied statistics. 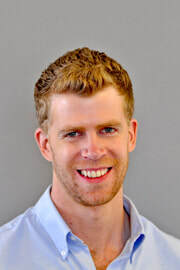 Jacob Kirksey is a PhD candidate in the Gevirtz Graduate School of Education and a graduate research fellow with the National Science Foundation. Jacob's research examines unintended consequences in educational policy as well as how policy affects special populations in K-12 schooling. Trained as an economist, Jacob uses quasi-experimental methods with large, secondary datasets. As an instructor, Jacob has taught causal inference to a variety of audiences at multiple universities, including Ph.D. students, faculty, and institutional researchers. Daniel Katz is a PhD candidate in the Gevirtz Graduate School of Education where he focuses on research methodology, educational measurement and assessment, as well as the philosophical and policy issues related to both. At the University of California, Santa Barbara, Daniel works as the Graduate Assessment Fellow for the Center for Innovative Teaching, Research, and Learning (CITRAL) and as a graduate student researcher for the California Dropout Research Project (CDRP). Daniel’s other projects relate to the use of psychometrics, particularly the Rasch model, in attempting to measure literacy, fairness and educational measurement, and thinking about the measurement of complex “constructs” in social science. Daniel has been a teaching assistant for introductory statistics courses and run hands-on tutorials on the use of R software.